The non-points race has always produced some of the most dramatic moments of the season. This year’s race includes all 2017 and 2018 Cup Series race winners, former All-Star Race winners competing full-time, and former Monster Energy Series champs competing full-time. Bowyer’s March 26 victory at Martinsville (Va.) Speedway ensures he gets to bypass the Monster Energy Open and be one of at least 17 drivers to start in the All-Star Race. As usual, there will be some tweaks to the rules for the exhibition race. Cars will use restrictor plates, a splitter borrowed from the 2014 rules package with a 2018 radiator pan, a 6-inch-tall spoiler with two “ear” extensions measuring 12 inches tall, and manufacturer-specific air ducts designed to minimize the advantage of lead cars in undisturbed air. The All-Star Race and the 600 are exciting times for race fans and SHR wanted to throw in a bonus. The organization announced Monday it is reaching back in time and reenergizing a team fan club. Bowyer’s No. 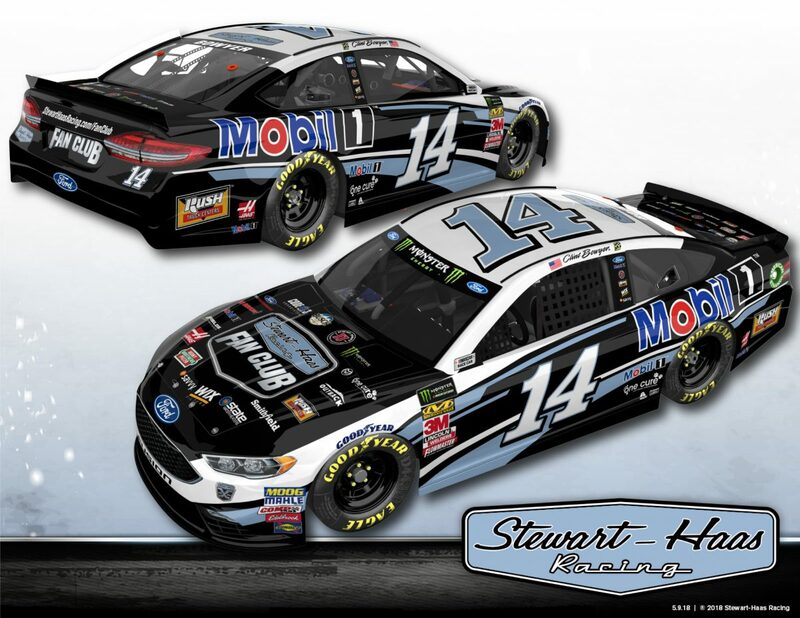 14 will carry a special paint scheme this week that calls attention to the new SHR Fan Club as well as recognizes the team’s corporate partners. At no cost, the SHR Fan Club will offer fans numerous chances to win cool gear and, most importantly, access to the inner workings of SHR. Meet-and-greets with team personalities at the track and VIP events at its race shop will be available to SHR Fan Club members. To join, simply sign up at www.StewartHaasRacing.com/FanClub.